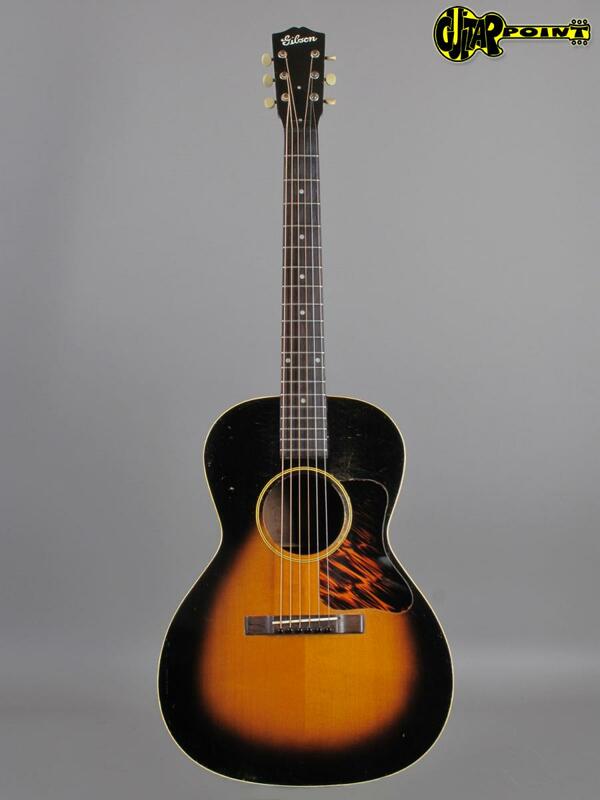 Almost the Robert Johnson guitar! 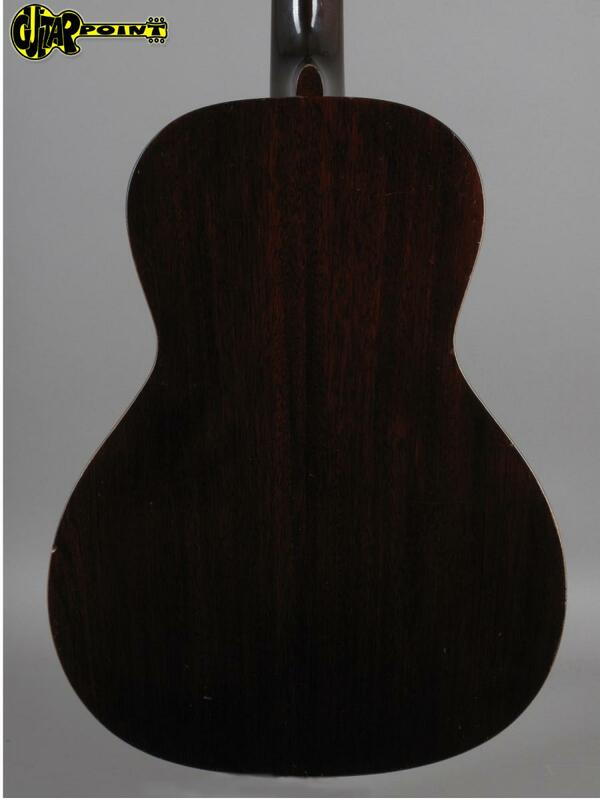 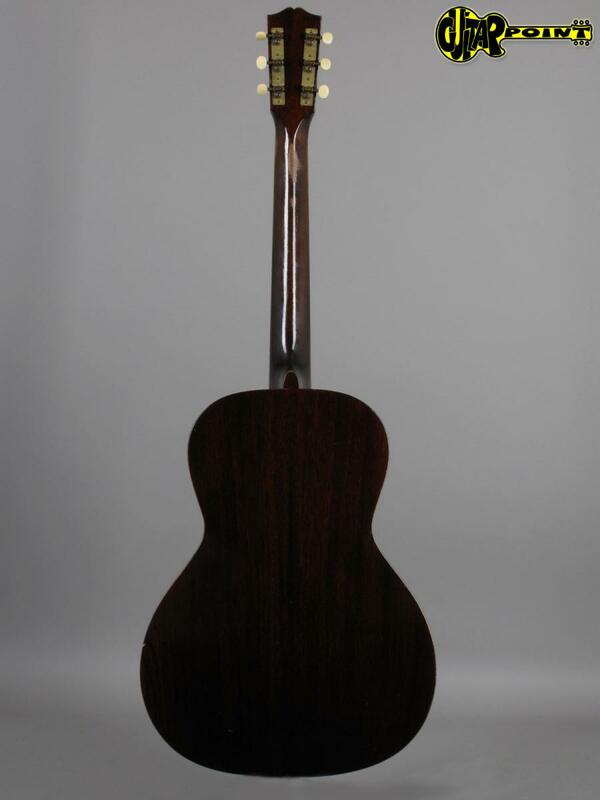 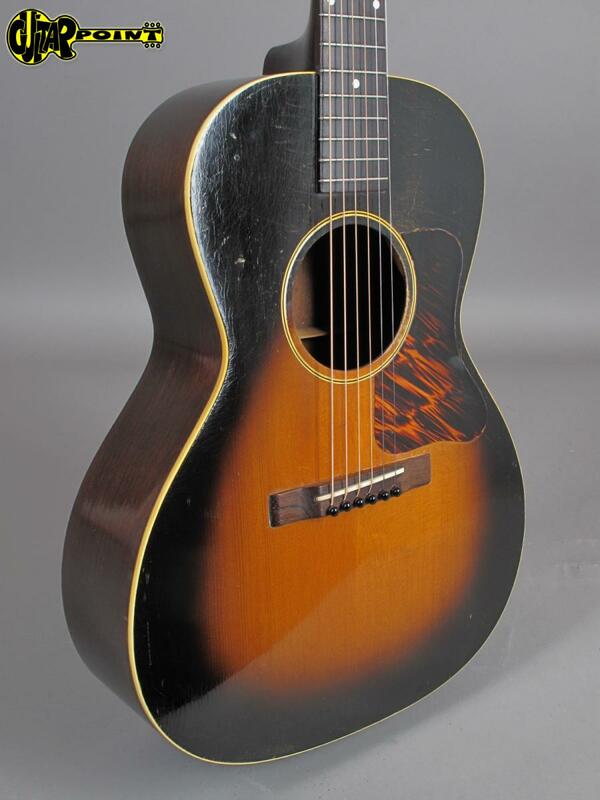 Gibsons "standard" small body acoustic guitar from the 1930s. 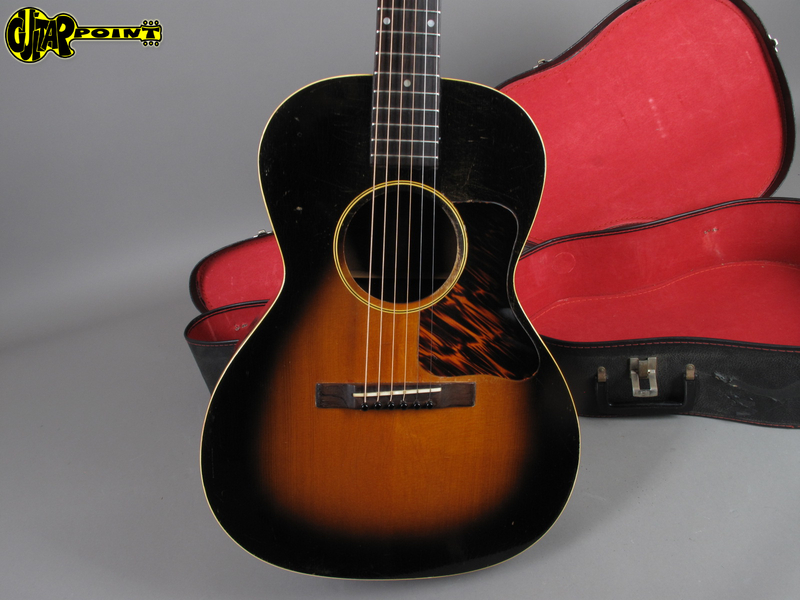 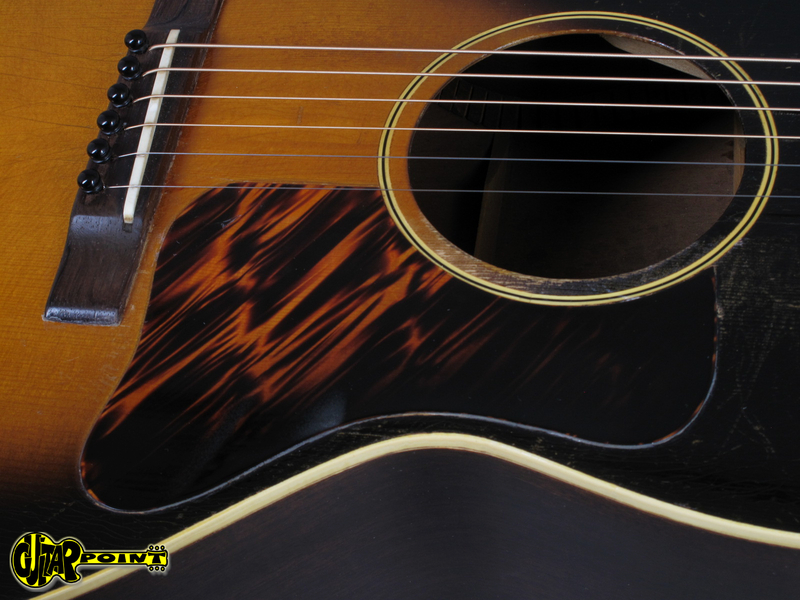 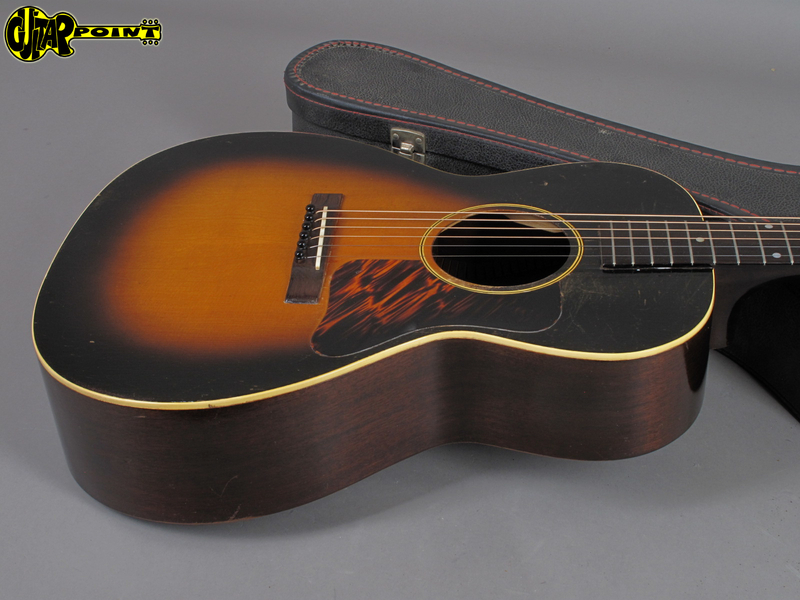 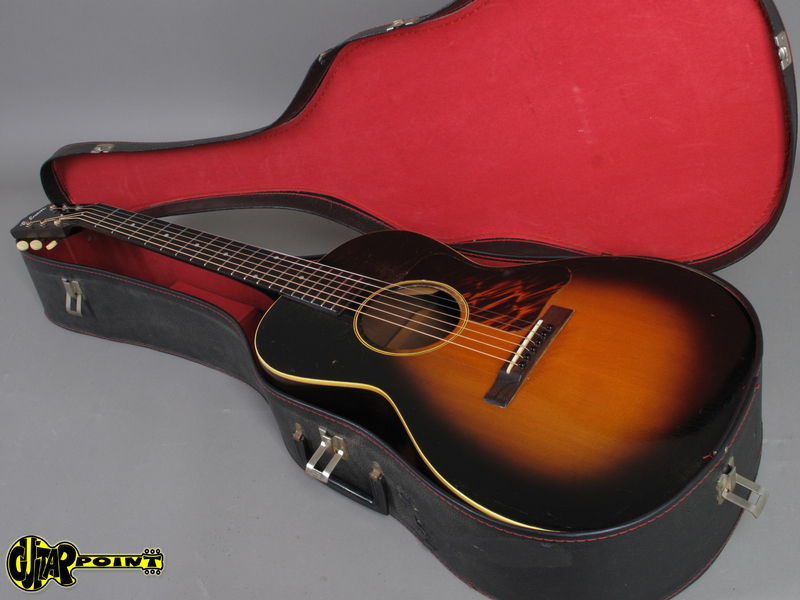 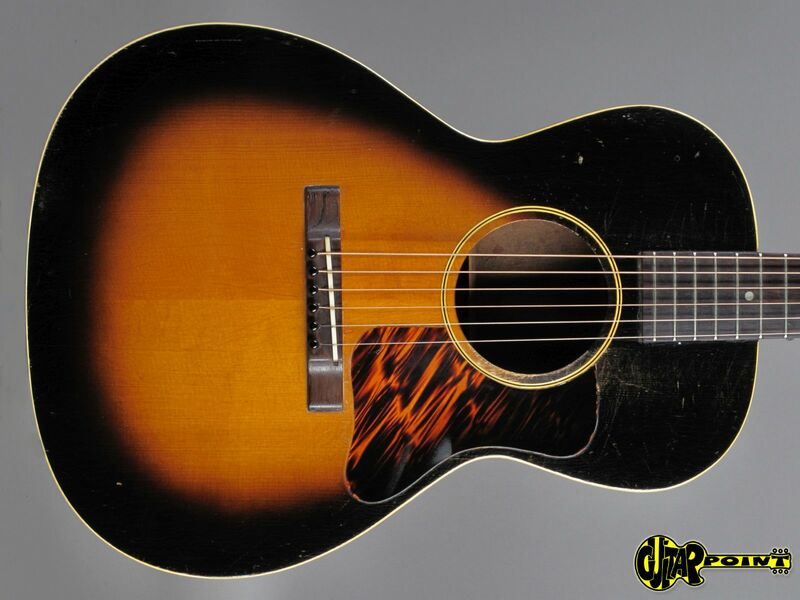 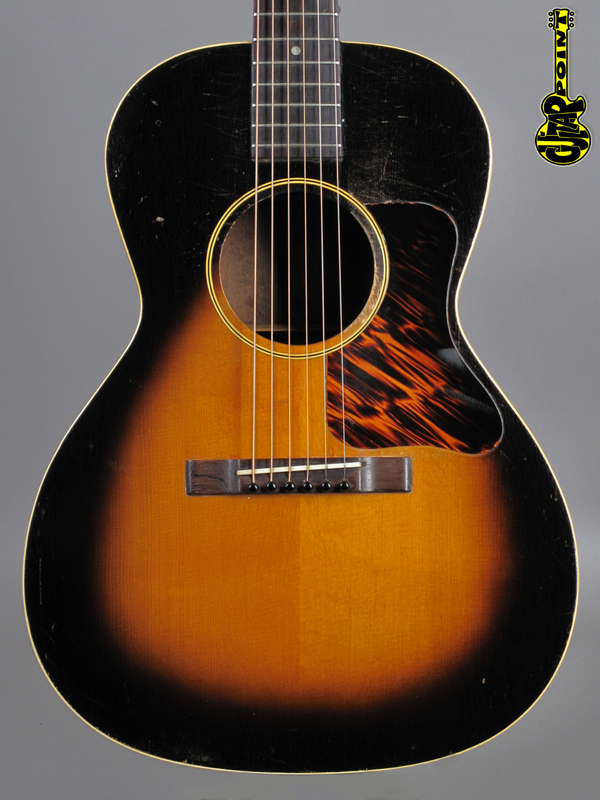 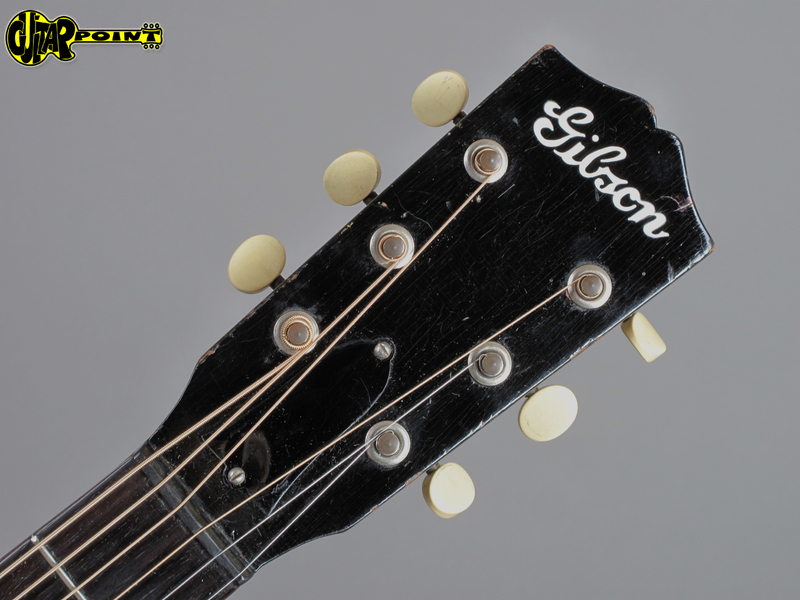 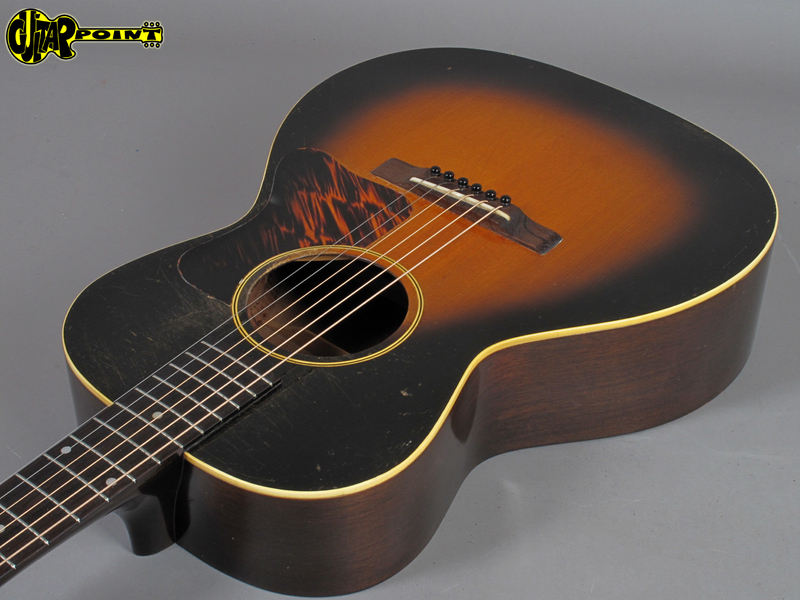 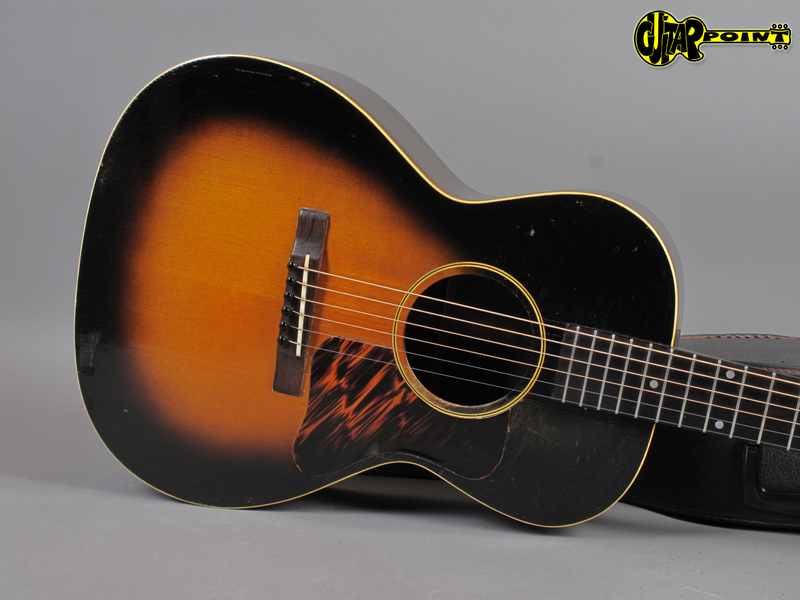 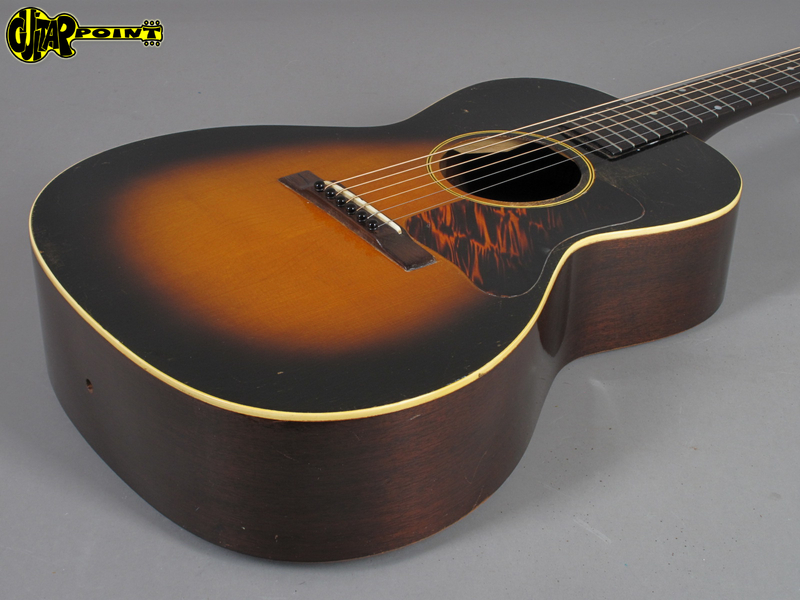 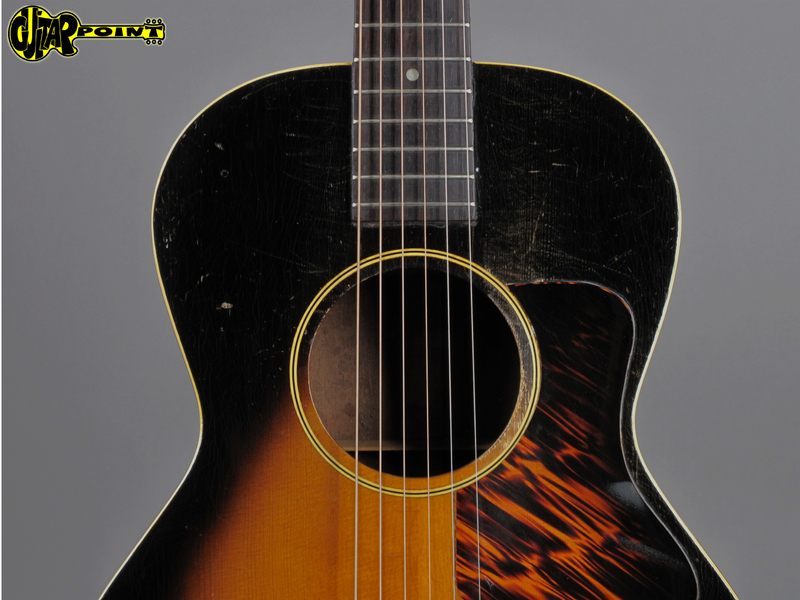 This 1935 Gibson L-00 is in great condition for its 80+ years! 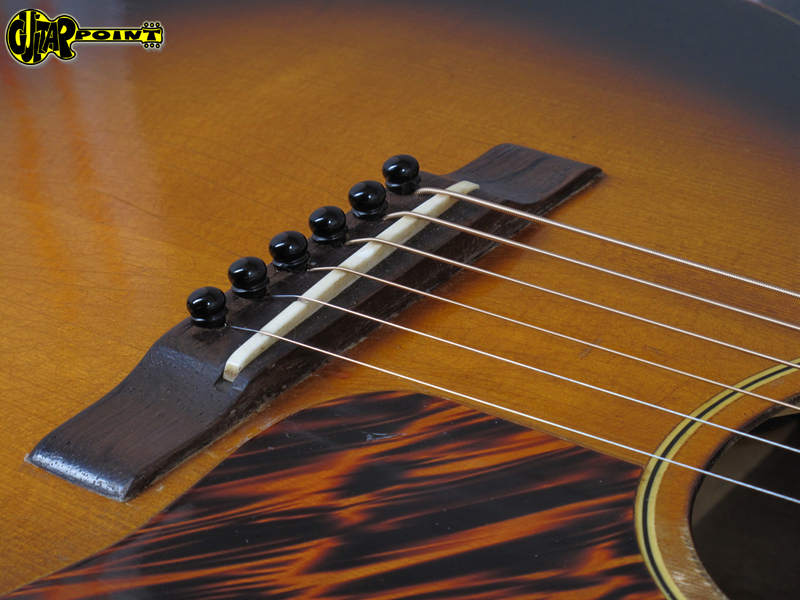 It's got a rich sunburst finish with ultra thin lacquer and a big V-neck profile - perfect for fingerstyle and blues-picking. 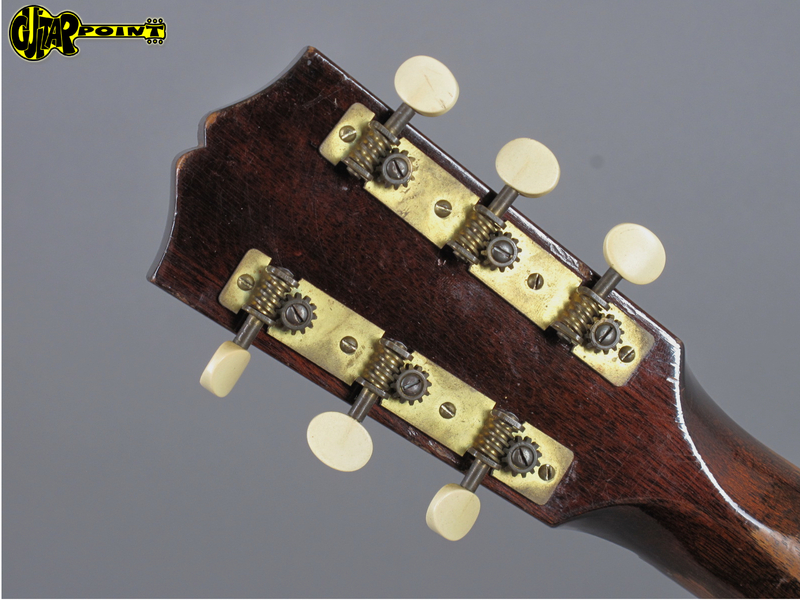 The nut width is 45mm. 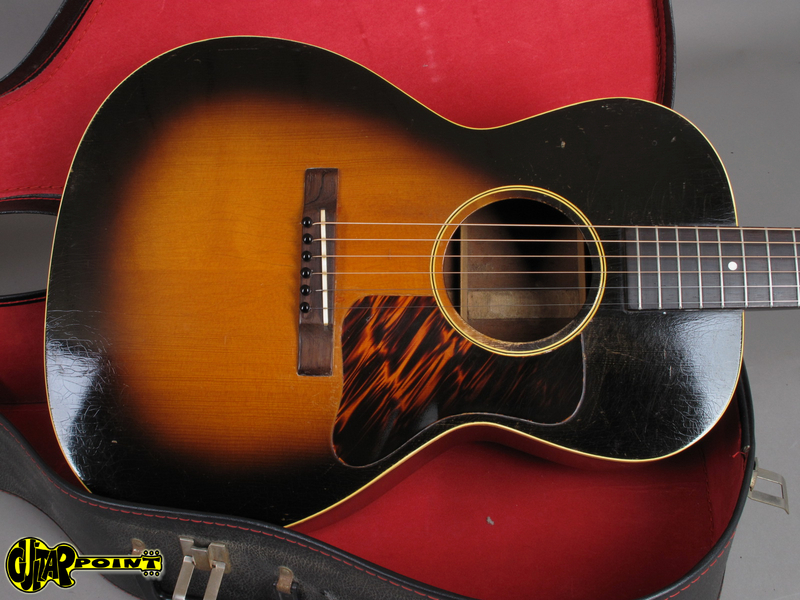 It has some playwear but it's still in a really good condition. 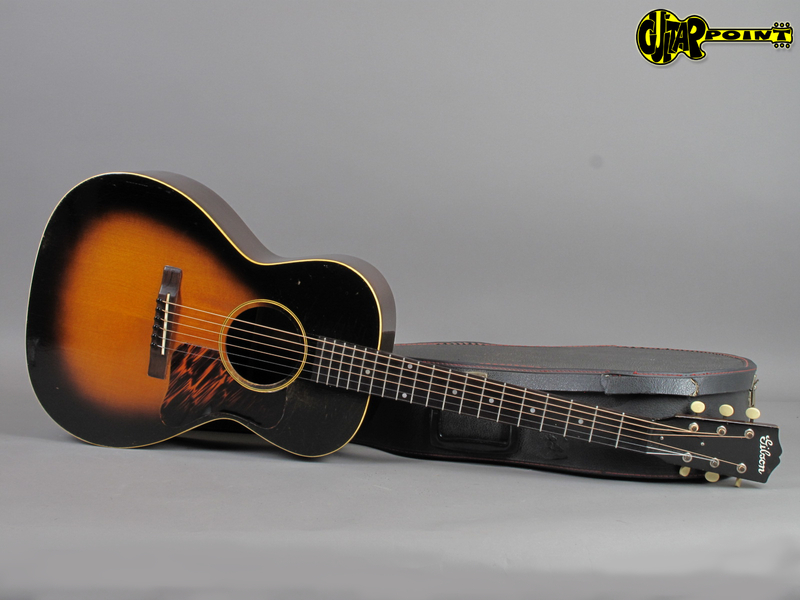 A great and yet affordable 30s Gibson with a lot of vibe and that bluesy small body tone you are searching for! 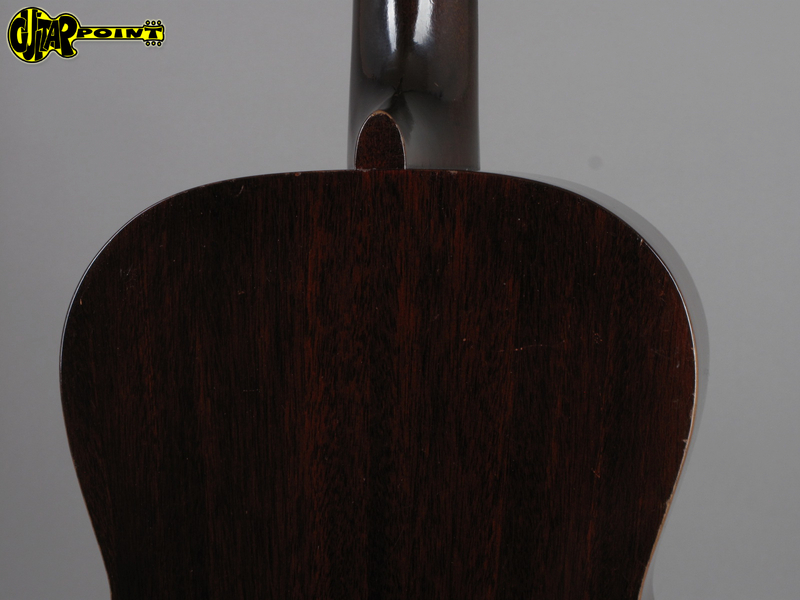 No cracks or repairs. 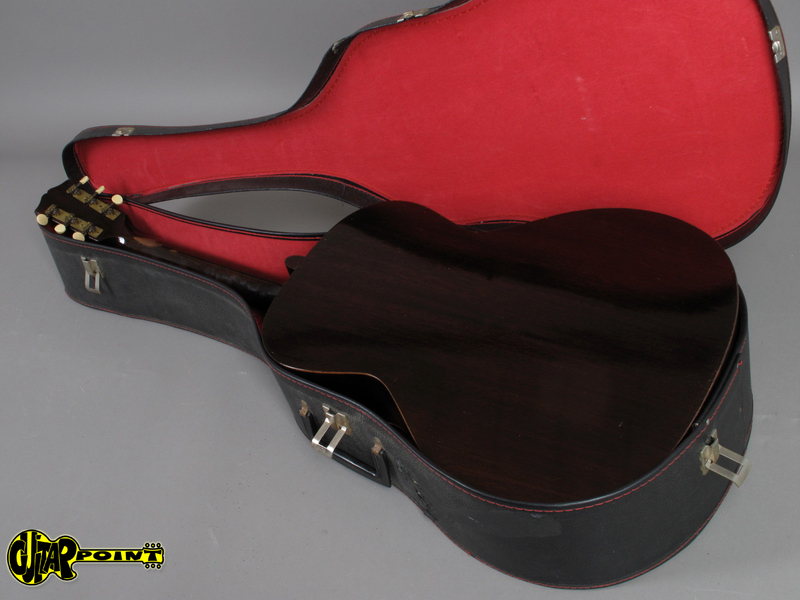 Comes in 60s Gibson soft case with red plush.